Mid-back pain can make life debilitating, preventing you from standing up straight, sitting comfortably, and sleeping well. 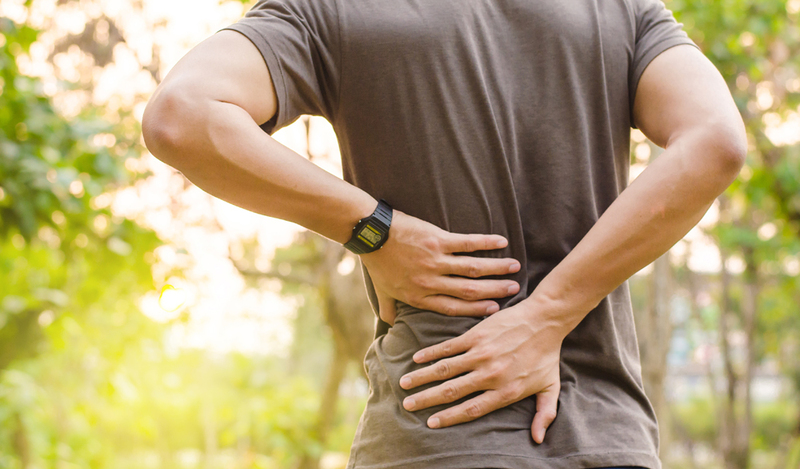 Most mid-back pain is attributed to spinal issues, whether in the spinal tendons and muscles, the bones and ligaments, the spinal discs, or the vertebrae, which go between the joints and bones. Incorrect posture — Incorrect posture may contribute to long-term back pain. By learning posture young and choosing ergonomic seating and chiropractic care, posture issues can often be treated. Nerve entrapment — In some instances, the connective tissue, spinal discs, muscles, or bones can grasp the nerves and keep these contained. This creates pressure and pain in the mid-back, as well as immobility and pins and needles. Muscle spasms and strain — Involuntary muscle spasms can be very uncomfortable and may be the result of overstraining muscles in the back and neck. Spondylolisthesis — Each spinal vertebra has its own place, but that doesn’t always mean the vertebrae stay there. When the spinal bones meet because of protruding spinal discs, spondylolisthesis symptoms start. Lordosis — If the lumbar spine bends at a curved angle, the patient has lordosis. Deverbative disease, neuromuscular issues, and other injuries may cause this. Kyphosis — Like lordosis, kyphosis is a condition in which the spine is almost curled, but this time it’s the upper back that’s damaged. The causes of lordosis and kyphosis are the same. Scoliosis — Scoliosis is a condition that worsens posture. The spine’s slight round angle manifests in symptoms like pain and discomfort. Spinal osteoarthritis — Also called degenerative joint disease, spinal osteoarthritis may appear after an injury. The vertebrae’s cartilage disappears, leaving bone on bone contact. Lumbar stenosis — A nerve condition, patients with lumbar stenosis may have lower or mid-back pain. This condition starts as the spinal canal gets unnaturally smaller, pushing on the nerves. Sciatica — A pinched nerve between the back and the legs can cause the pins and needles and discomfort of sciatica. The pinched nerve is called the sciatic nerve. Ruptured spinal disc — The inner disc center is the target of a ruptured spinal disc. This part of the disc loses its fluid, which leaks to the nerves. If you’re dealing with mid-back pain and need chiropractic care like manipulations, spinal decompressions, or adjustments, come to NuView Health Medical. We serve those in Rockefeller Center and Midtown, New York. Our chiropractic doctor also specializes in treating pain in the neck, feet and legs, hips, wrists and hands, shoulders, and more. Call us today at (212) 588-0707 or come to NuView Health Medical on 22 West 44th Street, Suite 306, New York, New York 10036.